North Carolina quintet Between the Buried and Me have always been among the most forward-thinking and distinguishing acts in modern progressive metal. By cunningly fusing characteristic bursts of bleak brutality, mellow catchiness, and vibrant, avant-garde peculiarity—usually within the framework of a gripping narrative—the band upholds its place as an unparalleled force in the genre. Luckily, they more or less maintain such distinctions on Automata I, their latest sonic journey. Although it doesn't offer quite enough fresh eccentricity or hypnotic passages to match past masterpieces (which may not be fair to expect since it lasts only 35 minutes), Automata I nevertheless bursts with BTBAM's token magic. Even though it takes place in the future, there are a lot of parallels to modern society... oftentimes, we turn athletes, movie stars, and musicians into commodities. We forget that they're real people with problems and issues. They're society's escape from reality, as we use them for entertainment. Hence, society plays a role in their downfall, be it drug dependence, isolation, or even suicide. Society perpetuates mental illness with those expectations. Of course, a major part of fully realizing such motifs is crafting suitable lyrics, and as usual, vocalist/keyboardist Tommy Rogers relished the opportunity to be colorfully cerebral. He adds, "I wanted to write something that I treated as a puzzle until it comes together at the end.... For as deep and dark as it is, there's a positive outcome, which we've never had". In terms of characters, Rogers notes that "the story follow[s] a protagonist whose dreams are used as entertainment [and] broadcasted by a company called Voice of Trespass. Most of the record takes place within that dream. [He] thinks it's all real." Both musically and thematically, then, Automata I is a tad more familiar than fans might expect (it doesn't possess the same level of discrete personality as past offerings); that said, the BTBAM formula remains remarkable, as they still dominate the field and satisfy expectations. "Condemned to the Gallows" opens with a blend of ominous acoustic guitar arpeggios and starry keyboard tones before a fury of electric riffs and rhythms—plus a trademark slice of melodic foreshadowing via piano notes—introduces Rogers' guttural in-your-face proclamations. From there, it's an expected yet exciting voyage of captivating chaotic changes and dynamic shifts (both vocally and instrumentally). In a way, it acts as a union between the spacey intricacy of The Parallax II and the bleak harshness of Colors. These qualities, coupled with the faint Middle Eastern vibe and computerized segue into the next piece, "House Organ", makes this a stunning—if also slightly acquainted—way to kick off the six-song sequence. Naturally, "House Organ" sustains its predecessor's malevolence; in fact, it likely ranks as one of the most demonic tracks the quintet's released over the last decade. In typical BTBAM fashion, however, they seamlessly counter those moments with glimpses of serene warmth in which Rogers sings over a calm mixture of inventive syncopation, tempered piano ascensions, and light guitar licks (as well as various effects to add some surrealism). It justly channels the lively juxtapositions of Coma Ecliptic and effectively sets up the more madcap and magnificent "Yellow Eyes". Placing Rogers' emblematically layered forewarning against a ceaselessly unpredictable and playful arrangement (with an abundance of hellish and heavenly contrasts), "Yellow Eyes" exemplifies what makes BTBAM so singular. Described by bassist Dan Briggs as "four minutes of straight melody" that demonstrate how moments of Automata I "venture away" from genre conventions, "Millions" indeed begins with a surprising level of fetching dreaminess. Honestly, it's probably the most glittery and whimsical section on a BTBAM record, with a pleasant verse melody complemented by an equally tranquil score. Rather than divert such a trajectory, its periodic heavier elements actually work beneath this sheen, adding touches of disorder without taking anything away from the majorly pleasant ride. It's a consistently lovely and enthralling excursion (with drummer Blake Richardson serving as a resourceful highlight throughout). The final two tracks—"Gold Distance" and "Blot"—act as a pair. The former is essentially a minute-long transition comprised of morose synths, piano chords, beats, and Floydian electric guitar croons. (Actually, it recalls the similarly psychedelic movements of The Parallax II.) Expectedly, it glides into the lengthy closer (whose beginning portion doubles down on the Middle Eastern tranquility suggested in "Condemned to the Gallows") impeccably. Truly, "Blot" packs everything you'd expect in a BTBAM tour-de-force: mesmerizingly quick riffs, ever-changing vocal passages, plenty of light/dark shifts, and clever bits of continuity that only reveal themselves after several close listening. It doesn't surpass past epics like "Memory Palace" and "Silent Flight Parliament," but it's on a similar level, showcasing all that modern BTBAM does best in a meticulously constructed gem. Obviously, it also leaves you eager to hear it all again, as well as finish the journey with Automata II ASAP. 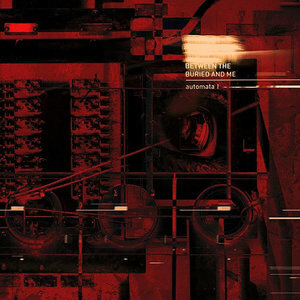 Despite feeling a bit too unsurprising and safe—not to mention brief—to really rival its masterful precursors, Automata I is still a knockout effort that proves once again why Between the Buried and Me is the superlative act of their particular style. After all these years, they remain peerless in terms of melding adventurous arrangements, dense concepts, and thoroughly riveting clashes of soft and heavy natures. Of course, the true measure of Automata I can only be realized once its counterpart releases and adds context to these initial half dozen selections; at that point, the complete Automata sequence will likely match the rest of BTBAM's discography and rank as one of the best progressive metal works of 2018.